$609.56 This may be in stock for quick delivery; please call! This handy DW Cocktail Kit Hardware Pack includes a range hardware that's light enough for the working drummer, but heavy-duty enough for hard-hitters. The DW Cocktail Kit Hardware Pack delivers quality and dependability at a price most drummers can afford. 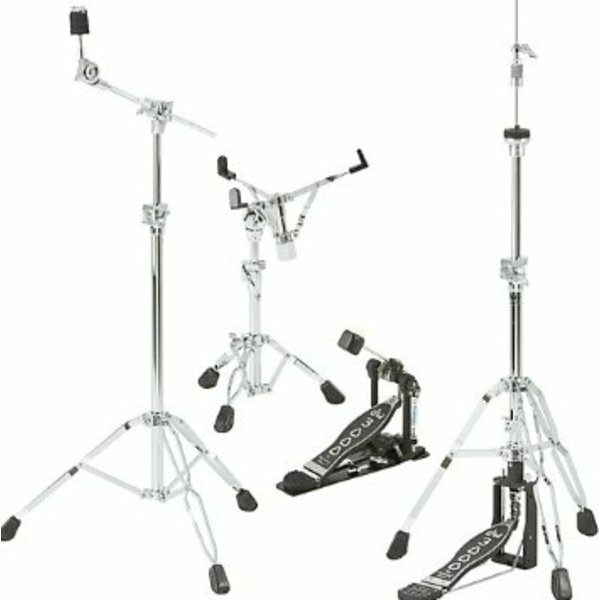 Here's what you get: a DW 5000S Sidekick Pedal, DW SM9212 Hi Hat Boom Arm, DW SM799 Dogbone w/ Cymbal Arm, DW SM912 Cymbal Arm, DW SMTA212 L-Arm 2 pack, DW SM798 Dogbone, and 3 W SM778 Telescoping Dogbones.